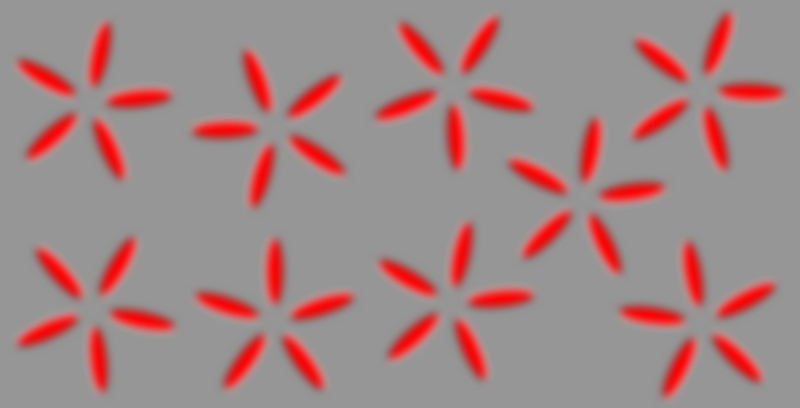 Each asteroid appears to rotate. The upper left ring, the upper right one, and the lower middle ring appear to rotate counterclockwise whereas the rest three rings clockwise. 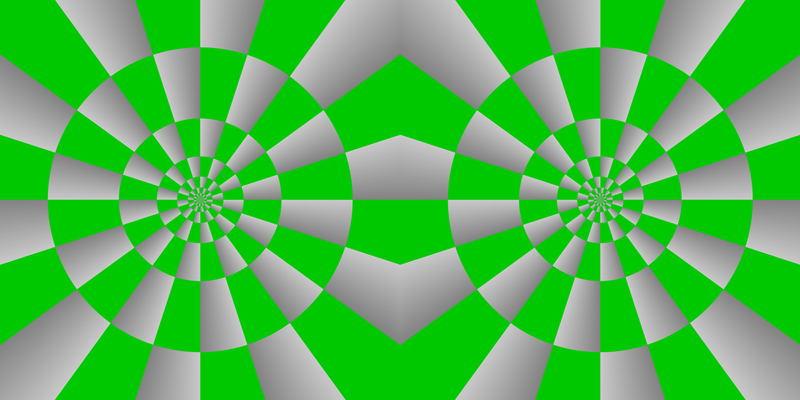 The left disk appears to rotate counterclockwise whereas the right one clockwise. 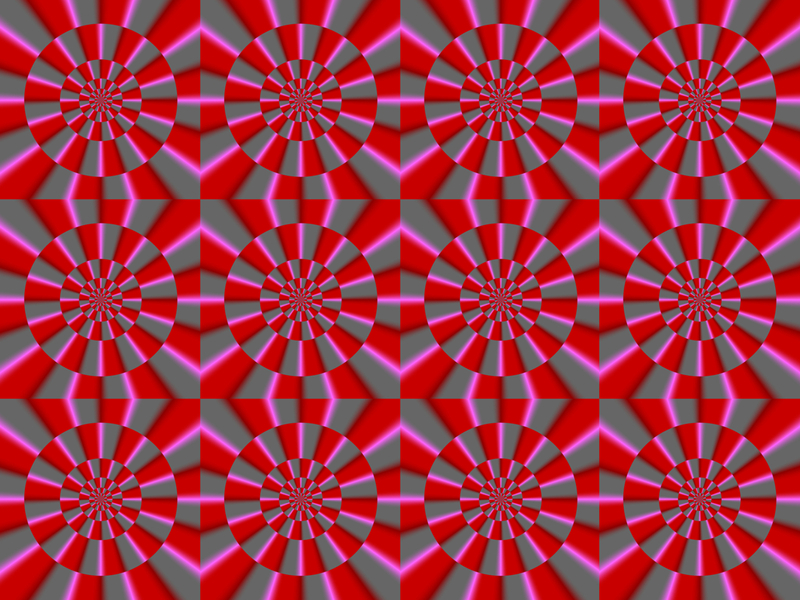 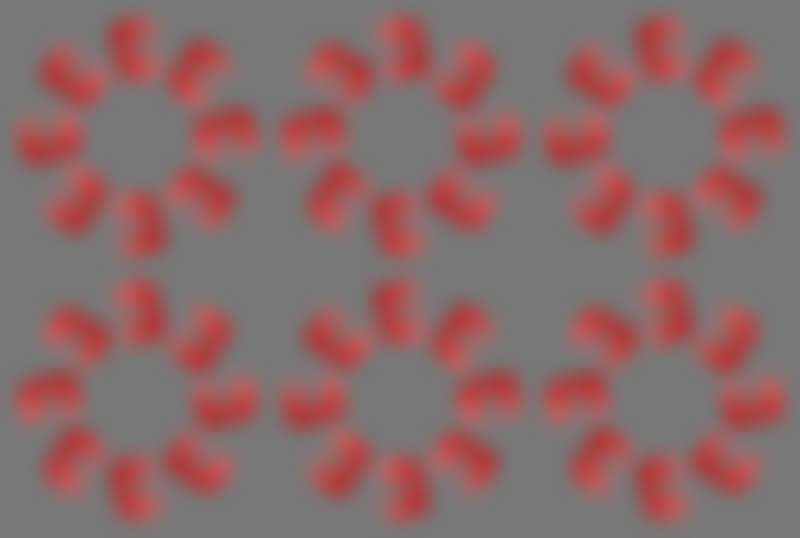 Each disk appears to rotate clockwise. 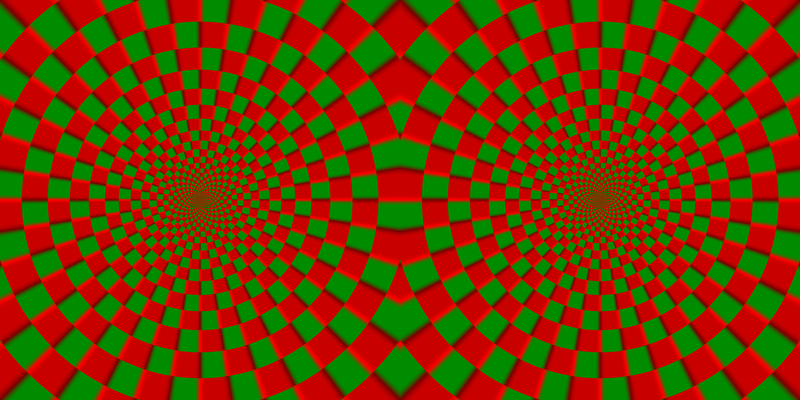 The direction of illusory motion is reversed in a dark condition. 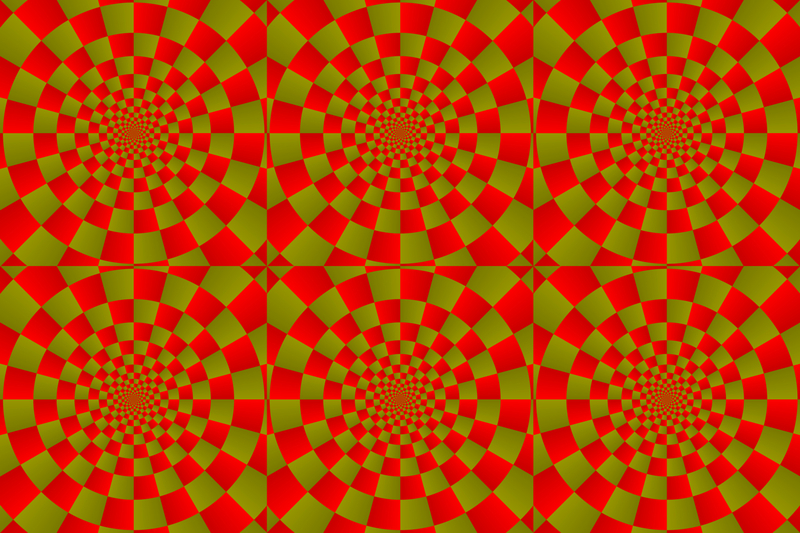 The left disk appears to rotate clockwise whereas the right one counterclockwise. 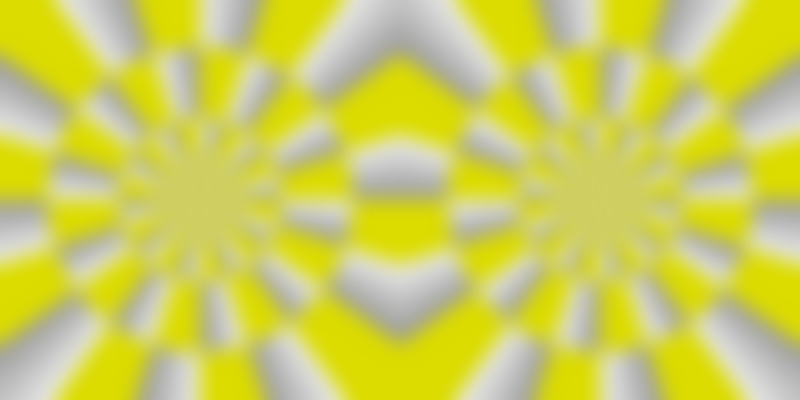 *kotobuki = kind of congratulations! 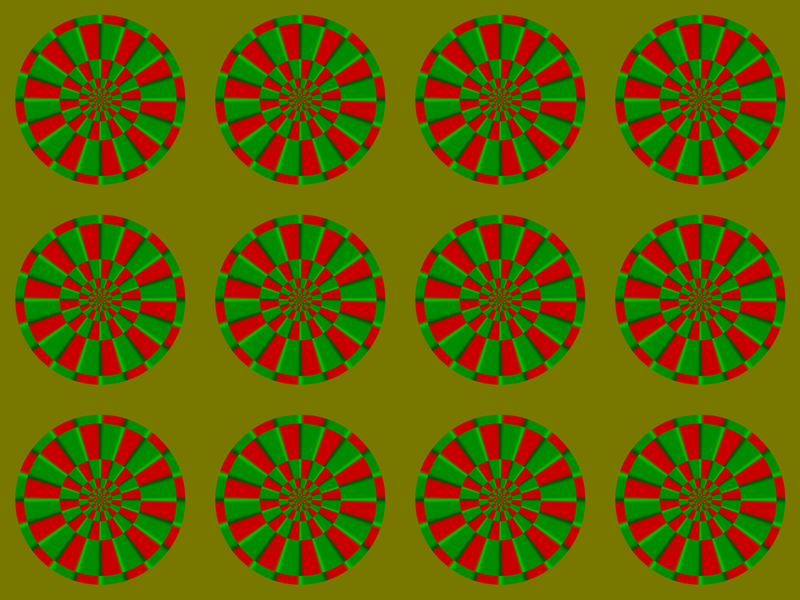 On a bright display, each disk appears to rotate clockwise whereas counterclockwise in a print in a dark illumination. 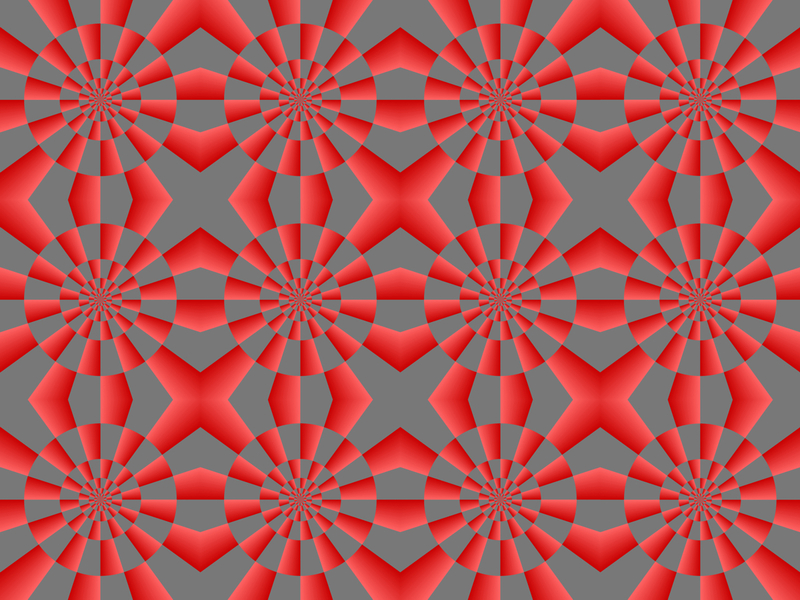 On a bright display, each disk appears to rotate counterclockwise whereas clockwise in a print in a dark illumination. 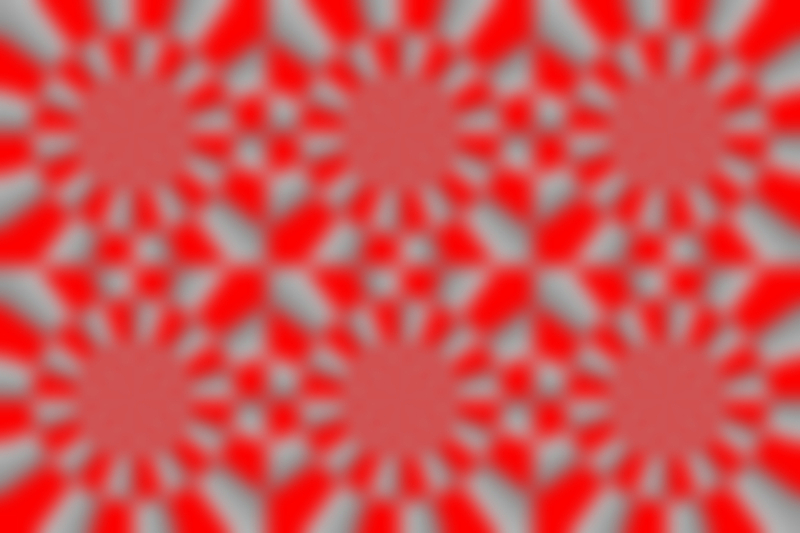 On a bright display, each disk appears to rotate in the direction from light red to dark red whereas the reversal is observed in a print in a dark illumination. 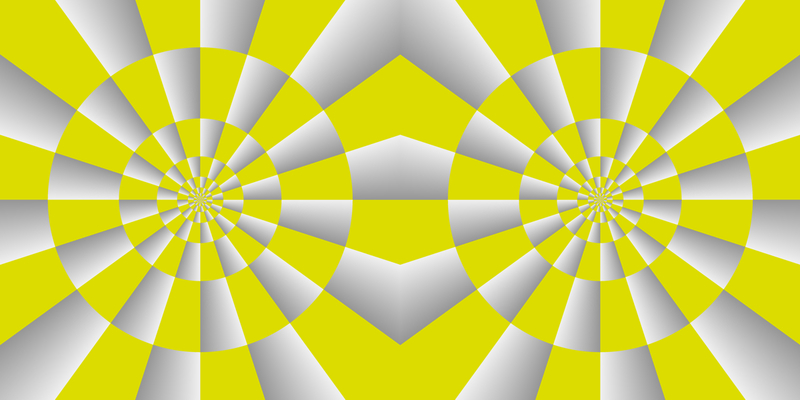 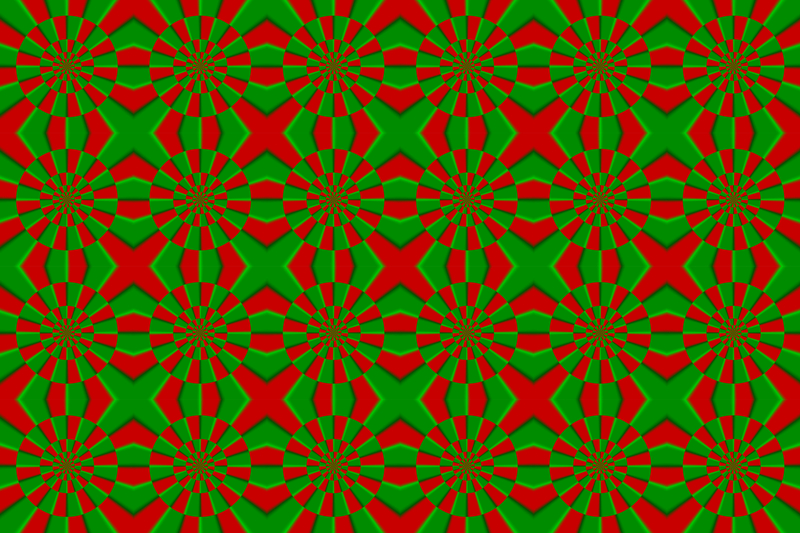 On a bright display, the left half appears to rotate counterclockwise whereas the right one clockwise. 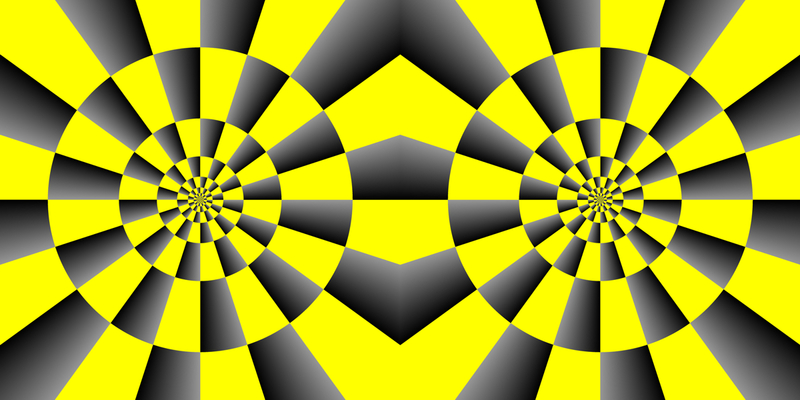 In a print in a dark illumination, the left half appears to rotate clockwise whereas the right one counterclockwise. 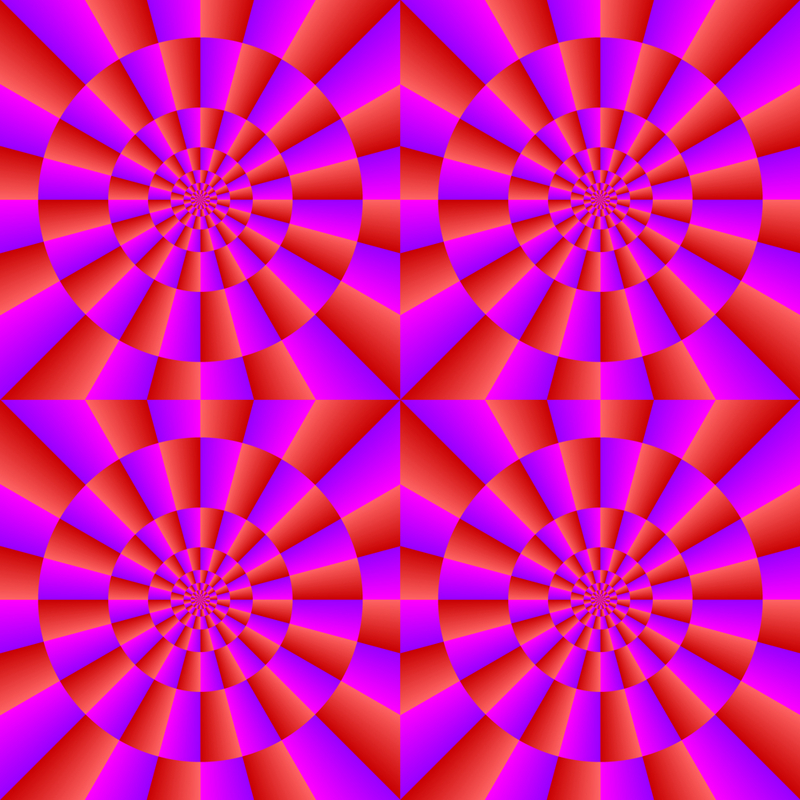 Each disk appears to rotate.